Cellular has long been used to connect security panels to control rooms and with the roll-out of NBN, becomes even more relevant, offering a simple reliable low cost option for connectivity over cellular (4G/3G). 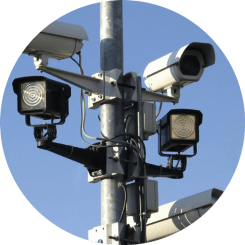 Beyond this use, M2M Connectivity is providing remote connectivity for other security needs such as digital cameras, access control systems, covert tracking and the like. New LPWAN technologies are expanding use cases in security and surveillance, providing long life battery powered systems for detecting events and tracking goods. Do you have a question about any of our products? Need some guidance on your next project? Or just simply want to know where to get started incorporating M2M/IoT technology into your business? Use our contact form to submit your questions and one of our team of M2M/IoT experts will get back to you with more information.